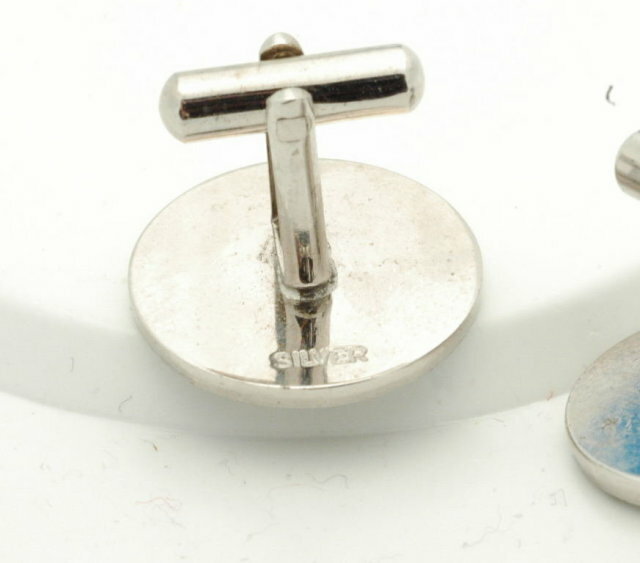 Nice cuff links of sterling silver with a brushed surface. The ship's wheel design on the front is engraved and the lower surface is blacked with what I think is enameling. 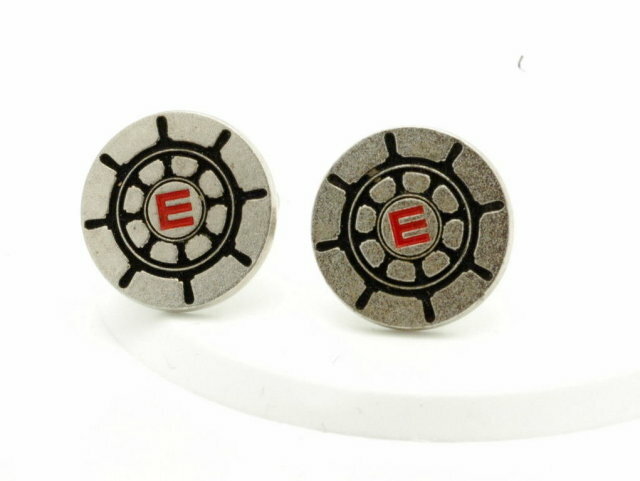 The "E" in the middle is cut in and filled with red enameling. I do not know the significance of the "E" nor do I know what the ship's wheel is all about. The tops are 3/4" in diameter. The stem mechanism is not sterling but of steel. The are marked "Silver" on the back. The condition is excellent on both. 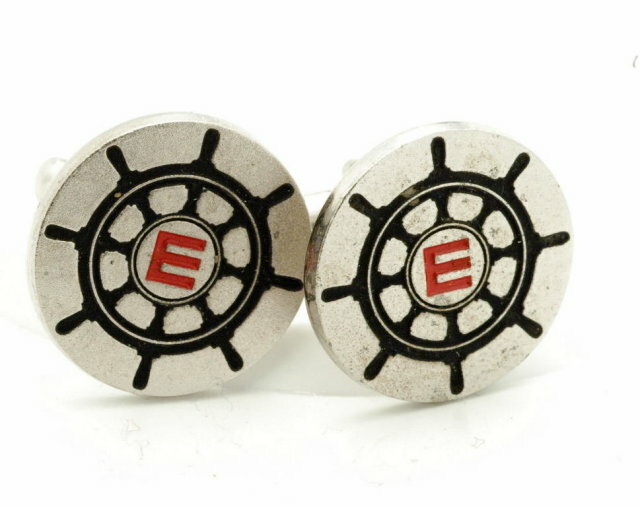 Items Similar To "Sterling Silver Ship Wheel & "E" Cuff Links "